"The road to hell is paved with good intentions", ever hear that one? It's usually delivered by someone who's very, very disappointed in you, like Sister Mary Juanita who's noticed that the flowers you brought in to class so that you could have the honor of crowning The May Queen still have the roots on them... and dirt. And the lady down the street from you has called the school about the little girl who had climbed over her fence in her school uniform and was ripping flowers out of her front yard. It's not about you wanting to crown the statue of Mary, it's about flower thievery, and Mary doesn't roll that way. So what did I learn from that? Don't break into the neighbors yard in your sailor collar, middy blouse and little navy blue beret with a stem, school uniform (note to Little Kathy: Next time go ninja.) And always have a back-up plan. Yes, the road to hell truly is paved with good intentions...it's also paved with desserts as I recently discovered. I'd set out to make a coconut pudding, but alas had no young coconut, and you know what they say about mature coconut...not flattering. So I moved on to pineapple pudding. Sounded good and I had plenty of "Telephone Brand" agar agar I'd gotten at my favorite Thai market. Yeah sure. "Telephone Brand." Word to the wise: Don't buy food items that are named after appliances or hardware. Also don't buy a bag of something with no printing, directions or illustrations of any kind on it. And also while I'm at it, don't think that you are so freaking smart you don't need anything like that. Pure hubris. 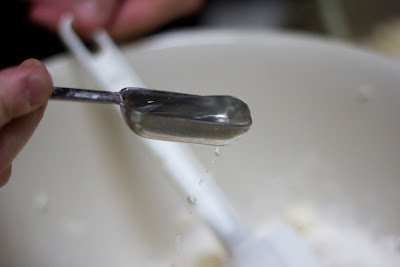 I plunged into the pineapple pudding experiment with both left feet. So, as I was pouring my wretched, rancid, grainy-tasting pineapple pudding into the garbage, I realized I had company coming in a few hours, 7 or 8 dishes as part of my Indian dinner, and no dessert. I needed a back up plan. Fast. I learned long ago when in doubt...make ice cream. The Cuisinart ice cream maker I bought a few years ago has been worth it's weight in gold or at least gelato, and whenever I'm in a pinch I grab it. I decided to make a rose water ice cream, but somehow it seemed like it wasn't going to be enough. 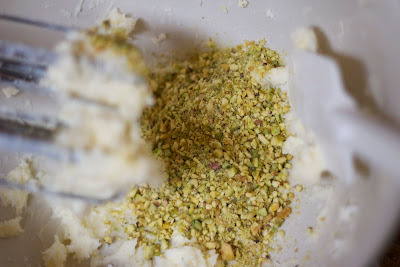 In the middle of a this I found a recipe for rose pistachio biscuits, (cookies in Ammerricun) I was in! The recipe warns this may be a little difficult, but I felt that the dough came together pretty easily. Roll it into a ball, wrap it in a bit of saran wrap (clingfilm if you're classy) stick it in the fridge for about 20 minutes so that it firms up, (If only life were as easy as cookies) and the dough is made. 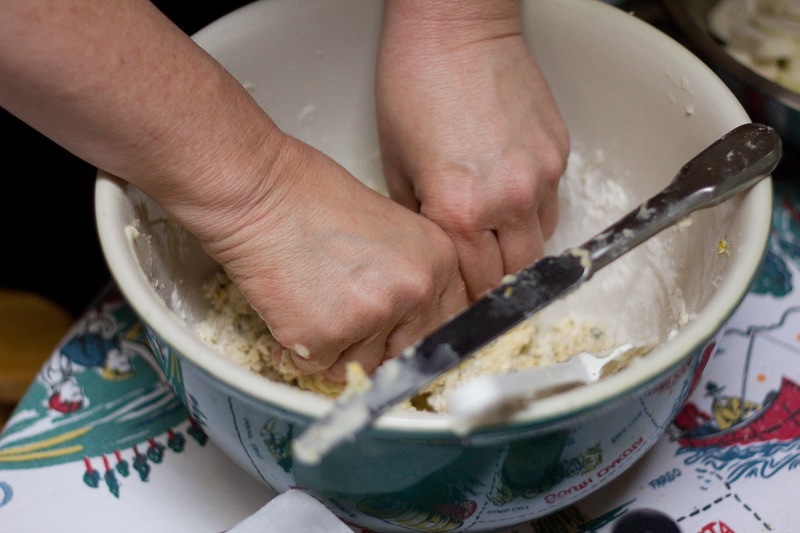 After the dough has firmed a bit, break it into walnut sized pieces and flatten them into rounds. Bake the cookies for 15 minutes or a little more. They're done when they start to turn a bit golden. They should still be a bit soft, they harden as they cool. 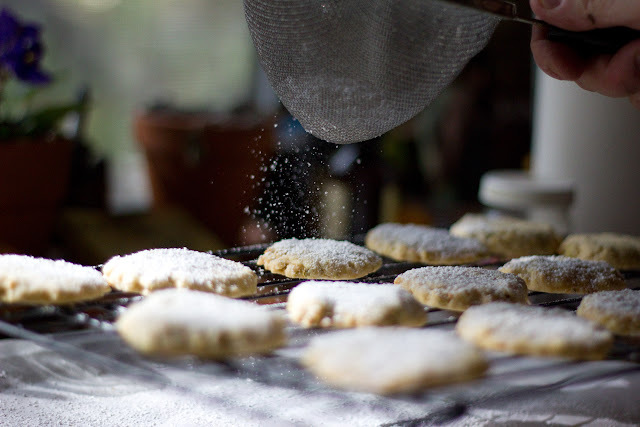 While the cookies are cooling, sprinkle them with a bit more rosewater. When they're a bit cooler, slide the cookies off the sheet and onto a cooling rack. 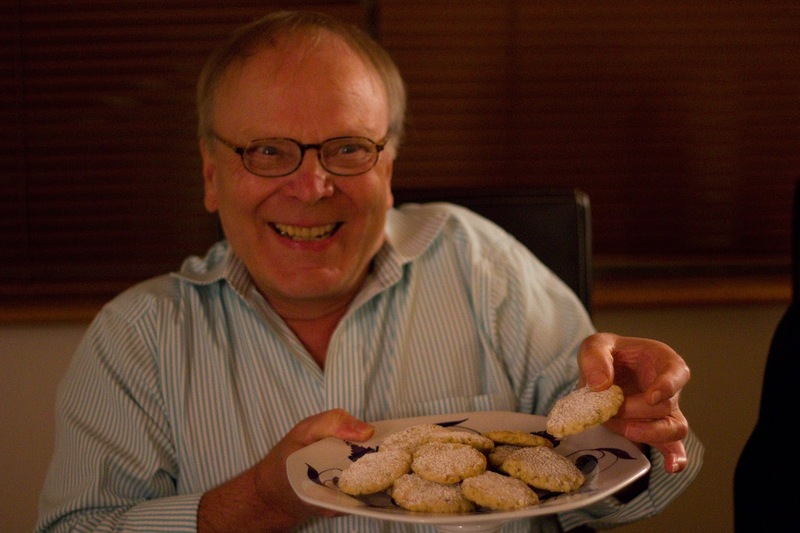 Sift the cookies with a bit of powdered sugar. 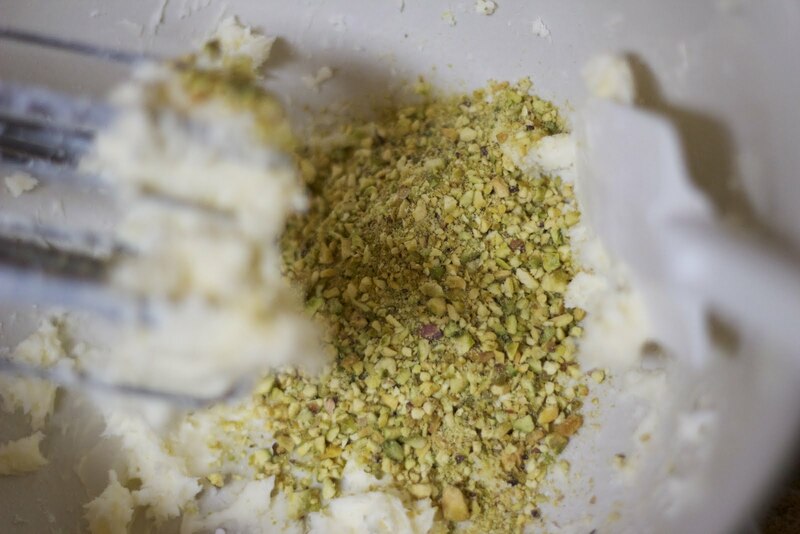 Before serving the cookies, sprinkle each with a tiny bit of ground pistachios and ground cardamom. Our friend Heikki enjoyed them. I always have a backup plan when I have company over! Your backup plan looks delicious! :) Thanks for sharing! Lovely pictures by the way! My dessert sucked and so there was no dessert...that is how I roll. I am going to be like you when I grow up. You work magic. So resourceful as always - and as always, want some. Great plan, your always ready for anything love it! And what exactly do they say about old coconuts??? I'm starting to lose my hearing so i have no idea what they say behind my back! "mary doesn't roll that way," love it!! this has to be one of your best posts! Heikki looks like he is having a fab time! I always have a backup plan in place. Your backup plans sound good. Great photos! Thanks! Great recipe, hilarious post! I'm originally from Santa Rosa, my husband is Kashmiri & right now we live in Nepal. Your posts make me a bit homesick, especially for ThaiLao market. I have a Kashmiri recipe for a similar cookie with cardomom & walnuts often made for Eid. Interested? ThaiLao is a life saver for me! One of the few places around here where I can get what I need. Yes!! 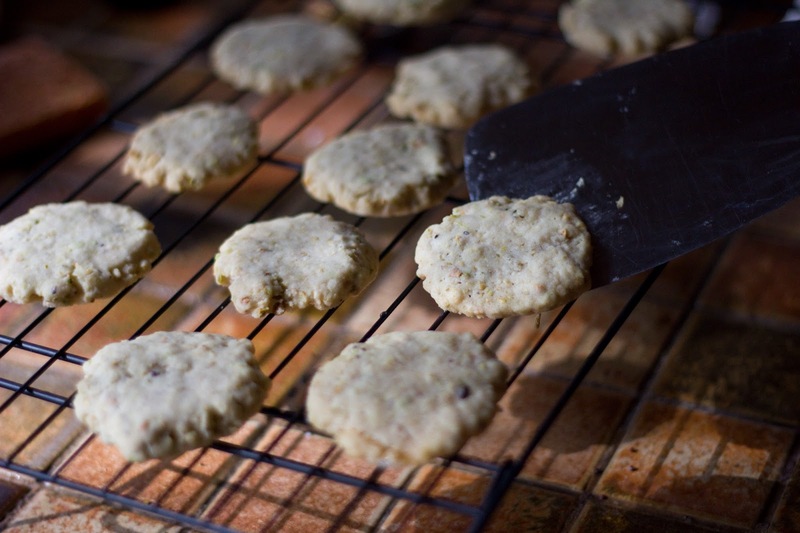 Please send me the cardamom and walnut cookie recipe! Oh I love these pistachio cookies! I've made cake but not cookies. Must try this one. 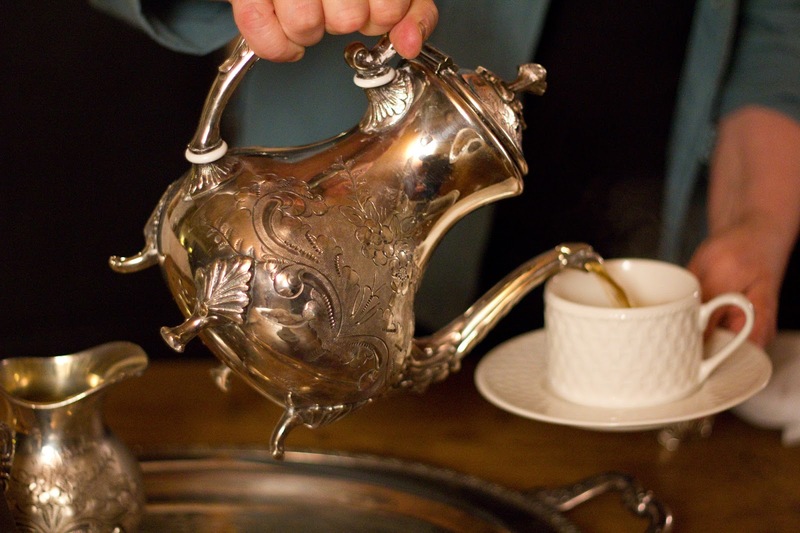 And I love your silver teapot even more! Reminds me of high tea with the Queen ....though, I've never been! Thanks for sharing this great recipe!